A dream for many couples is to tie the knot on a romantic stretch of beach, with a balmy breeze blowing and a fading sunset bathing the scene in a golden glow. But reality often intrudes on that dream—questions of cost, time, convenience, and the like—and the bride and groom take the traditional route of a church ceremony and a hotel reception. But what if you were to pursue your ideal wedding plan? What if you could think it through and plan it out so that it actually becomes doable? We are here to help you with those “what ifs”! With some careful planning from ceremony to reception, a simple but truly meaningful seaside wedding can be yours. And it can be as beautiful and romantic as you’ve always dreamed. At the ceremony, have handcrafted shell trays serve as lovely holders of the wedding bands, awaiting your exchange of vows. The ideal ceremony venue would, of course, be out on the beach. Make the most of the matchless surroundings by leaving the ceremony area as open and uncluttered as possible. Have a few rows of wooden benches or individual chairs set right out on the sand—with perhaps a simple gazebo or a canopy of cheesecloth to frame the two of you against the backdrop of the beautiful blue ocean. You may even forego floral decorations in case the seaside breeze becomes a bit too brisk, and just have the bridal party wear flowers in their hair and on their wrists, as well as hold traditional bouquets. For the ceremony itself, time it to begin just before sunset. Have the flower girls hold little shell-trimmed baskets filled with loose rose petals to toss as they walk down the aisle. 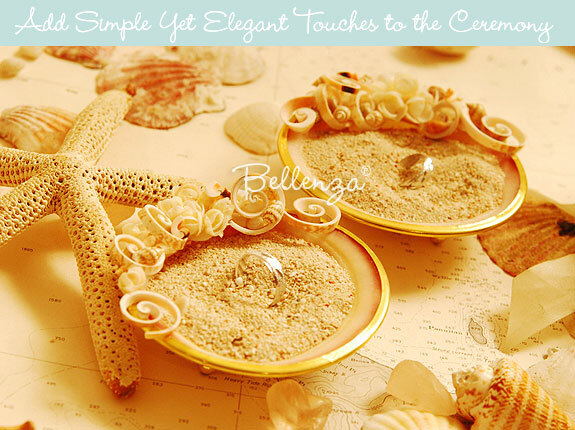 Also, instead of an actual ring pillow, consider a pair of beautiful shell trays filled with beach sand to hold the wedding bands. Then, as the sunset casts its golden glow on all, simply take your rings from there as you exchange your vows. Greet guests at the reception venue with a whimsical welcome signage and a display of pretty shell place card holders all in a row. From the seaside ceremony, usher guests to the nearby wedding reception venue. This could be a grouping of party tents out on the sand as well, a wooden open-air deck, or an enclosed clubhouse or function hall right alongside the beach. 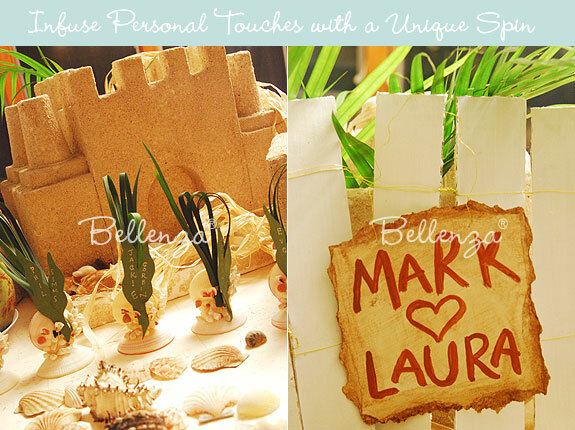 Greet guests with a welcome drink and a charming beach-themed reception table with a whimsical welcome sign. At this table, have attendants inform the guests of their table number and hand out the guests’ place cards—actually clever paper cutouts in the form of seaweed, standing in the prettiest little shell card holders! 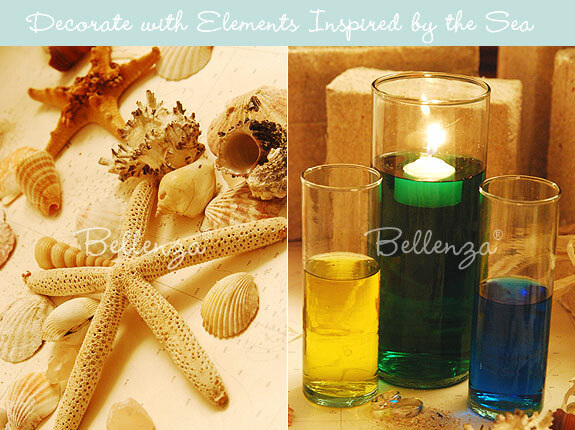 Make the most of the ocean’s natural decorations by using seashells in various shapes, colors, and textures. Add a few starfishes and the magic of floating candles. 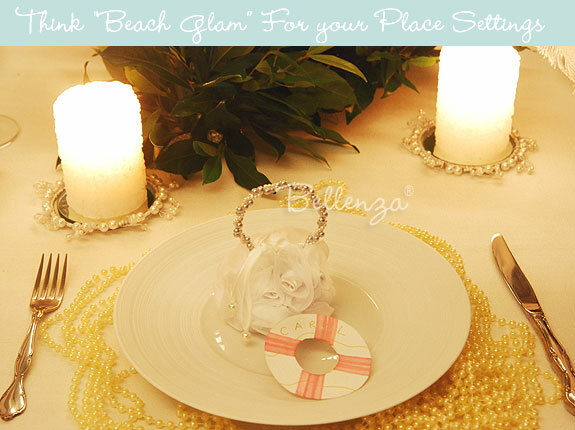 You need look no further than the beach itself for your wedding party decorations. Use seashells in all their amazing variety—fan-shaped bivalves, spiraling cones, dome-shaped ones, spiny ones; white, golden orange, or pinkish in color—and your reception decor is ready made! 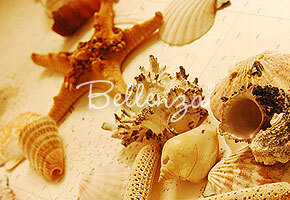 A few starfish, sand dollars, sea urchins, and perhaps a dried sea horse or two would make great accents as well. To bring in the glimmer of candles, set up groupings of clear glass cylinder vases holding colored water and a floating candle or two. Such a simple yet captivating touch! 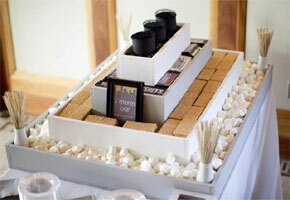 For the reception table display, shift to a more sophisticated air. Create a crisp white-on-ivory look with lustrous pearls as the key decor element. Bring these in through the various table accents—pearl-ringed mirror coasters holding white candles with embossed roses, silk sachets trimmed with tiny pearls, and strands of faux pearls serving as oh-so-elegant plate chargers. 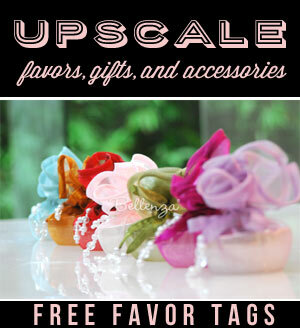 For a fun personal touch, use “lifesaver” cutouts as favor tags! 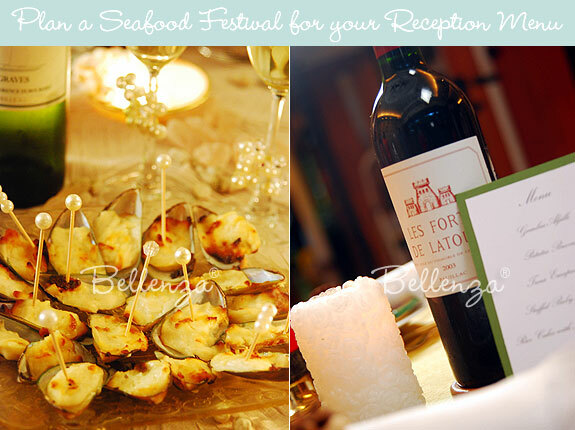 Offer guests a light but flavorful reception menu, from scrumptious seafood appetizers to sweet desserts, accompanied by fine wines. To accompany the flavorful fare, offer guests fine white wines recommended for serving with seafood—such Chablis, Chardonnay, Pinot Blanc, Riesling, and Sauvignon Blanc. (Tip: For pairings of wine with specific seafood dishes, visit online reference sites like this one.) After the main meal, serve freshly brewed coffee along with slices of your wedding cake, and end the memorable evening with a toast of sparkling champagne! 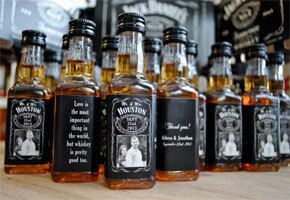 Previous DIY Lemon Favors: Perfect for a Summer Wedding! perfect! i’m having a giligan’s island themed wedding rehearsal dinner. getting ship wrecked is the theme on a deserted island. the location is my parents huge backyard garden with a pool! we are putting on a game wherein guests can try to figure how to get off the island. it will be fun!!!! just one question, what would you suggest as favors? Try whimsical lifesavers made of cookies, create SOS gift bags filled with various goodies and beach treats, or try making bottles filled with sand and a personal message!